An appreciation from his son. Frederick Roach passed away on Tuesday 10 January after a substantial battle with cancer. He has had a profound influence on me both as my father and my professional mentor. Frederick had two loves in his career: caring for those with mental illness and teaching others to do the same. From our youngest days he shared his love of science and particularly biology with us. Microscopes, chemistry sets and microcomputers were never far away. But he wanted to equip us not simply with a love of truth but also a desire to communicate that truth to others. This was precisely what energised him. He qualified as a mental health nurse in 1967 and quickly developed a desire to teach becoming a registered tutor in 1973. He would be a much loved Course Director and Lecturer at the Royal College of Nursing throughout the mid-1980s. Along with this desire to communicate truth went a quest for excellence in research and learning. He completed his PhD, concerned with attitude change in the rehabilitation of alcoholics in 1989 and became Consultant Clinical Psychologist in Surrey in 1995. For us as children growing up, he simply expected the best and drove us positively to have mindsets keen to give of our best. And yet the caring side of his character was never far away. I remember well his care, concern and practical help when I, quite unexpectedly, didn’t make the grades to commence medical school. Not only did his care see me through my shock and disappointment; his daily encouragement helped me to pick myself up and try again. I qualified in 2002. He had a particular concern for those with addictions, and further specialisation led him into forensic mental health (MSc 1997) and medical law (LLM 2005). Understandably this brought him face to face with the darker realities of the human experience. Perhaps as a result of these experiences he was a private person who treasured his family relationships dearly. Each of his children would testify to his endearing paternal protectiveness, coupled with a desire that we see the privilege of the loving relationships we enjoyed. He also loved to laugh and some of my sweetest memories are of him recounting a story or telling a joke that had us all in tears. Another distinctive of Frederick’s practice was his constant desire for clarity. This is an area I wished I had taken more heed of! It explained his other research passion – the area of dual diagnosis. He longed that our labels would help and not hinder our genuine understanding of how to help those struggling. In fact, during his battle with cancer, his desire for clarity on options and diagnostic specifics no doubt enhanced the quality of his treatment considerably. 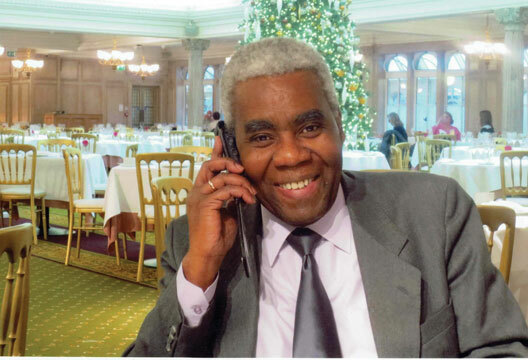 After retirement from the NHS in 2007 Frederick set up his own forensic psychology service. His real love however was enjoying learning new musical instruments, his love of French and time with his family. Frederick leaves his wife Marvalene, two sons, a daughter and five grandchildren.